The Arbitrary Fox : Photo Sunday! I thought it would be fun to post a photo from around Blackbird Soap Company every week to give everyone a little inside look at what goes on in my workshop, my company, home, kitchen, the neighboring forests, my travels, and so much more. 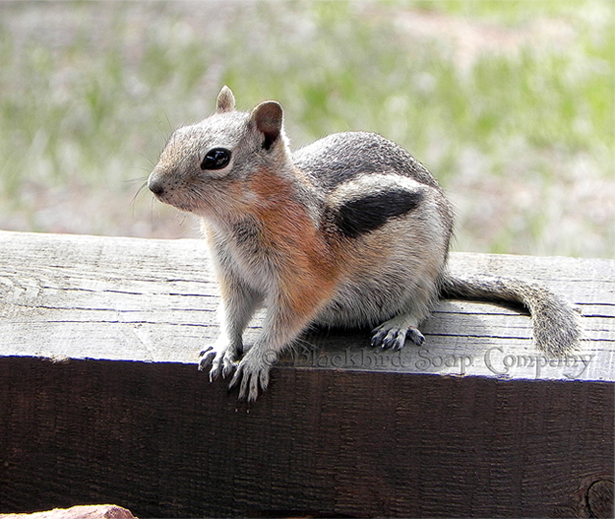 So, this week’s photo is an awesome shot of a chipmunk that came across my path on our hike today. No matter how many I took, he (I'm making him a boy), just kept posing away for me! Isn't Colorado amazing! I just can't get enough of the enchanting beauty we live near! Enjoy. I really like the new layout. It's amazing what you can do Heather. I also love the new photo sunday idea. I can't wait to see what's to come!